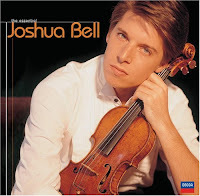 So I just heard about this story about Joshua Bell; ever hear of him? The story is almost two years old but bears repeating. Joshua Bell is arguably the most famous concert violinist in the world, currently - he is world renowned! So the article talks about an experiment that the Washington Post did; read below...or read the full article by clicking here. HE EMERGED FROM THE METRO AT THE L'ENFANT PLAZA STATION AND POSITIONED HIMSELF AGAINST A WALL BESIDE A TRASH BASKET. By most measures, he was nondescript: a youngish white man in jeans, a long-sleeved T-shirt and a Washington Nationals baseball cap. From a small case, he removed a violin. 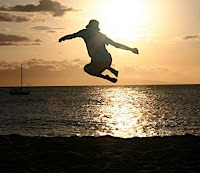 Placing the open case at his feet, he shrewdly threw in a few dollars and pocket change as seed money, swiveled it to face pedestrian traffic, and began to play. After playing some of the hardest and most famous violin pieces ever written, 43 minutes straight, one of the best violinists in the world made a grand total of $32.17. Not one person stopped and lingered for any period of time, and not one person recognized him or the "genius" of his playing. The Point: This story brings me back to one of the Sabbath Principles: SLOW DOWN! Do you ever take time in your day to slow down? To breathe? To observe? To listen? To read? To see? To walk? To notice the lines in a leaf, the beauty in a sunset, the sound of nature? Slowing down is essential to worship, and essential to life. I confess: slowing down is terribly difficult for me...but it is so necessary. Whenever I manage to slow down I find out how much I need it, and how much it does breathe life back in to me - and most importantly, I hear God. So let this story be a reminder to you for the need to slow down, and observe. I hope if I ever come across a scene like Joshua Bell playing the violin, I'm not moving so fast that I skip right by.